Pick Analysis: It was hoped Marshall would be the next great back to play between the hedges. He was the North Carolina Gatorade Player of the Year as a high school senior, rushing for nearly 1,900 yards, and recruiters appreciated that he was the state Class AAAA 100-meter dash champion. Marshall made a great first impression, taking 117 carries as a true freshman for 759 yards and eight scores (he also had 11-91, one TD receiving). Five games into his sophomore season, however, he suffered a torn right ACL against Tennessee and missed the rest of the year (56-246, one TD rushing; 8-111, one TD receiving). He attempted to come back for 2014, but could only play three games (12-24 rushing) because his knee did not heal properly. Ironically, an injury to his teammate, Nick Chubb, made it possible for Marshall to get 68 carries (for 350 yards and three scores) in his final year with the Bulldogs. Instead of petitioning the NCAA for another year of eligibility due to two lost seasons, Marshall decided to move on and try to make his way in the NFL. Published: April 5, 2016 at 08:28 p.m.
Take a look at the college highlights of Georgia running back Keith Marshall. 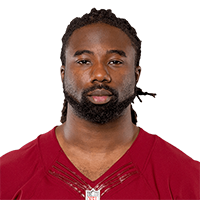 Published: March 9, 2016 at 10:15 p.m.
Watch Georgia running back Keith Marshall work out at the 2016 NFL Scouting Combine.